What Does 'Facebook Murder' Really Mean? Earlier this month criminology researchers from Birmingham City University published new research into the largely unexplored concept of ‘Facebook murder’, a phrase dubbed by news reports when the social media site played some kind of role in the case. Much of the coverage of the study, authored by Elizabeth Yardley and David Wilson, centred on the researchers’ notion that ‘Facebook murder’ cases have six particular characters – reactors, informers, antagonists, predators, fantasists, and imposters. 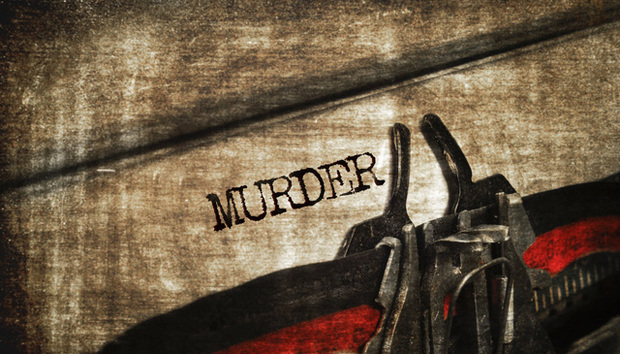 However, perhaps more interesting were the observations found in the conclusion, claiming that ‘Facebook murder’ is a largely uninformative phrase, adding nothing of huge significance to describing the case at hand. “The cases we identified were not collectively unique or unusual when compared with general trends and characteristics – certainly not to a degree that would necessitate the introduction of a new category of homicide or justify a broad label like ‘Facebook murder’,” said Yardley and Wilson, emphasising the need for further research into the field. Criminologists have been quiet on the digital communications front when compared with other fields of academia. “There is a lack of criminological literature to support such a term,” says the paper. While the study highlighted some differences between murders relating to social networking sites (referred to as SNSs in the paper) such as the generally younger user base, the cases were not dramatically different from ‘usual’ murder cases. Dr Yardley stressed that there is nothing “inherently bad” about social networks. “Facebook is no more to blame for these homicides than a knife is to blame for a stabbing – it’s the intentions of the people using these tools that we need to focus upon,” she said. “It is a sort of interesting speculation about these types [of] crimes, and if you read the conclusion of the actual study - they are basically saying that we have learned nothing new by looking at this,” she adds. Yardley and Wilson make an important point in their study though. Social media has become ubiquitous and its use by so many people makes it an everyday occurrence, like a communication mechanism no different than the telephone. This makes Facebook and social media in general an invaluable tool in criminal investigations. Police in London used social media to gather details on the city riots in 2011 while Vancouver police that same year also gathered Facebook data to follow up on riots. While this has been a boon for police and investigators, it has also given criminals new avenues to exploit. Consider the case of the Leighton family in Hull in 2010, whose new born child, Kai, needed urgent heart surgery. The family posted updates for friends on Facebook, drawing attention to the fact that their home was unoccupied, which was quickly picked up by thieves that broke in, stealing many valuables. With these cases in mind, it is quite clear that Facebook plays a prevalent role in how criminals now think. Even despite the focus on Facebook, this field of study remains very broad. Facebook was the obvious choice for first studies as it is the most popular social network with over a billion users globally. Should researchers delve into the worlds of Twitter, Tumblr, Google+ etc., they may begin to find much more complicated results that skew the view even further. Secondly, Facebook is most commonly used in English, which further limited the research’s reach in examining different cases. The researchers explained that “variation in the architecture and affordances of SNSs might limit the ability to draw wider conclusions had we included other SNSs in our research”. Crucially, Yardley and Wilson also call out “technopanic” in reporting in their study. In the Minnesota Journal of Law, Science and Technology, senior research fellow Adam Therier writes on using fear of technological danger to further an issue or agenda and that technopanic is the “real-world manifestations of this illogical fear”. “While it’s true that cyberspace has its fair share of troublemakers, there is no evidence that the internet is leading to greater problems for society,” he says. Technopanic, bolstered by a fear of the new and the unknown, is what has led us to the vague phrase of ‘Facebook murder’, according to Yardley and Wilson, explaining that the involvement of social networks in a case means it’s actually more likely to be reported while not necessarily differentiating it from other cases. “Our findings have begun to address this dearth and caution against the use of deterministic media constructs like ‘Facebook murder’,” they write. They and others claim that, from this early vantage point, Facebook plays no significant role in defining murder cases where the social network happens to be involved in some capacity. However, a study from East Carolina University in 2011 noted how ex-partners can use Facebook to follow or stalk their former partners, keeping tabs on their lives and possible new relationships. Secondly, a paper from the Central Institute of Mental Health, Mannheim, Germany notes that online stalking is comparable to offline stalking. Couple these observations with this latest study’s findings that say ‘Facebook murder’ perpetrators can be divided into six categories, which include “reactor” and “predator” and one raises a whole new level of concerns that demand further investigation into the more nuanced ways that Facebook and other social networks affects perpetrators of crime and specifically murder.